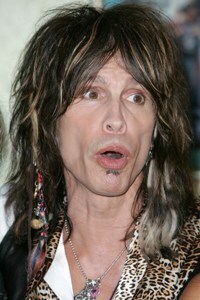 American Idol judges: Is Steven Tyler in? American Idol has no new judges yet, according to American Idol’s network chairman. The TCA press tour hoped to uncover the final roster of season 10 American Idol judges, but it was not to be. Fox execs spoke to the hot topic, but refused to answer the call, revealing only that some recent rumors are true: Some are not. Fox chairman Peter Rice is all too aware of the Idol fascination with who will be American Idol’s new judges and addressed it first thing during the Fox exec session today, August 2. “In the last week, lots of American Idol stories have been written, and we’ve been reading them avidly ourselves, so I think we have to address that right at the beginning of the session,” he said. His first order of business was Ellen DeGeneres and her American Idol exit. Rice explained that the decision to let her go came out of a June sit down with the talk show host, who felt “uncomfortable” in the judge’s chair. Rice then hit on who might fill those two vacant seats, but his answers didn’t actually reveal much. Price also addressed the ongoing cycle of rumors, which have theorized that original judge Paula Abdul would return, put Bret Michaels, Chris Isaak and Harry Connick Jr, Justin Timberlake and Elton John in the running and most recently, “officially” tapped Jennifer Lopez and Jessica Simpson as new judges. That’s a pretty useless statement, considering all the people who have been mentioned! In short, some folks we’ve heard about are in fact in the running, but who knows which ones. In spite of the clear message, there were several more attempts from the press pool, but they produced no new news. It seems everyone will just have to wait it out. SheKnows will stay on top of this story.